A charitable remainder trust lets you convert highly appreciated securities or real estate into income for life or a term of years without incurring capital gain tax when the asset is sold. The appreciated asset is transferred into an irrevocable charitable remainder trust and is then sold by the trustee (charitable remainder trusts can also be funded with cash). 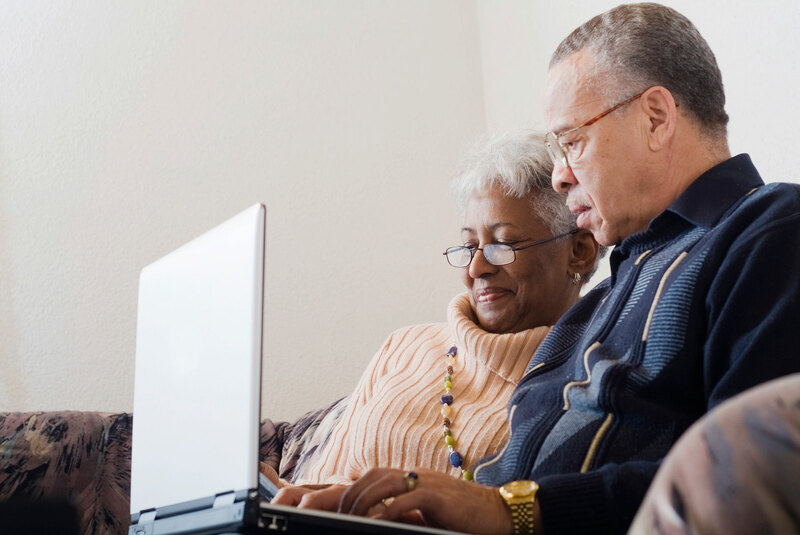 The proceeds are reinvested, and you and/or another designated beneficiary(ies) receive income for life or a specified term of years. When the trust terminates, the remainder will be added to the KQED Endowment. When you establish a charitable remainder trust you must select a trustee to administer the trust. 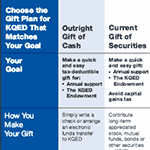 KQED may serve as the trustee if certain requirements are met. These include: minimum funding amount, payout rate and the term of the trust. We are always happy to consult with you and your advisor about the various charitable trust options and can provide computer modeling showing how the trust would work in your particular circumstances. The satisfaction of making a significant contribution to the future of public media. To request a brochure on charitable remainder trusts and/or to receive a personalized illustration of the financial benefits of establishing a charitable remainder trust, please complete our request for information form or contact us.